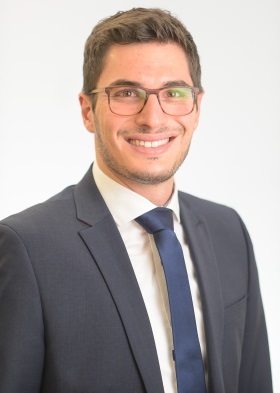 Joachim joined the Business Development Team at Oxford Economics in the Frankfurt office in February 2019. He is responsible for business development in the asset management space for Germany, Austria and CEE. Joachim has 9 years of experience in the field of capital market sales in Fixed Income as well as Equities. He is a graduate of the Karl-Franzens University of Graz in Finance and Economics. Joachim gained international experience during an exchange semester at Paris-Dauphine University and a longer stay in the Netherlands. He is fluent in German, English and French. David Anneteg joined Oxford Economics as the Business Development Manager to develop our client base in Sweden and Finland. 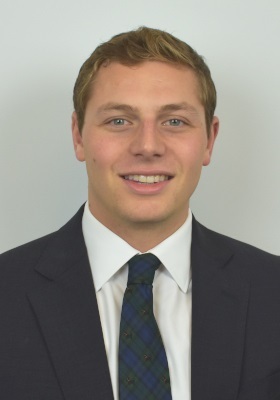 Prior to working at Oxford Economics, David has most recently been working in a sales capacity in the capital markets servicing corporates and asset management firms. He has had client relationships with companies including Aberdeen, Baillie Gifford, Volvo Group and WPP. He graduated from Malardalens University, Sweden, with a Masters in International Business and Marketing with parts of his studies conducted at Universidad de Barcelona, Spain. David has also lived and worked in the US; NYC and Connecticut as well as in his mother country Sweden. George is responsible for managing and co-ordinating Oxford’s Global Real Estate division including all sales, product development and business strategy. 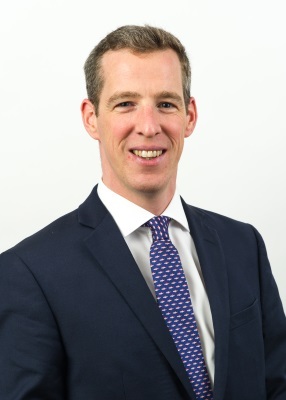 George also heads up Oxford’s Specialist Markets Group, focusing on global growth across Oxford’s Tourism, BIS and NKC economic business groups. 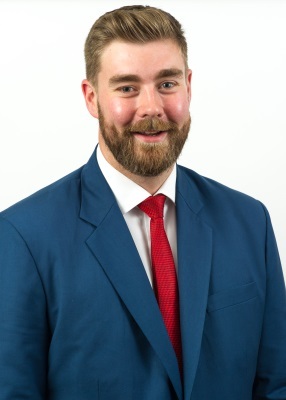 George is a member of the senior management committee and has spent 7 years with Oxford, after joining in 2012 to set up its real estate division. His main responsibilities include growing Oxford Economics’ presence within the real estate sector throughout EMEA, Asia and the Americas. 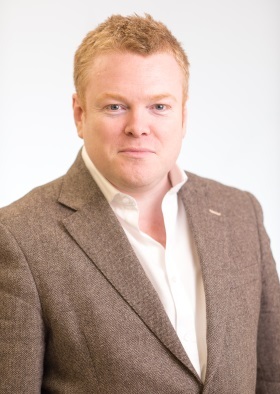 Prior to joining Oxford Economics, George held roles with Real Capital Analytics (RCA) as Director of Business Development EMEA, Manager at CoStar UK and as an Associate for Savills Plc. George is a member of the Society of Property Researchers (SPR), US Pension Real Estate Association (PREA) Research Affinity Group, The Investment Property Forum (IPF), Urban Land Institute (ULI) and Old Harrovian Property Club (OHPC). Marina holds a Master of Arts in Arts Policy and Management from Birkbeck, University of London and a Joint Honours B.A. in English Literature and History of Art and Architecture from Trinity College Dublin. 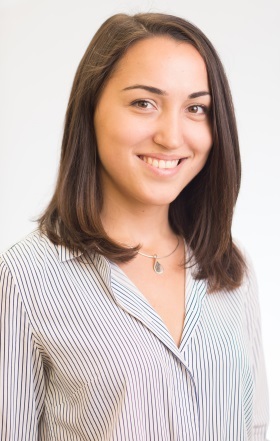 Prior to joining Oxford Economics, Marina completed an internship with Cerillion Technologies as a Senior Researcher within the Sales and Marketing Department. While a student, she worked in art galleries and film institutions in Dublin and was the Head of Exhibitions at the Dublin University Photography Association at Trinity. She is also interested in languages and is fluent in Russian. Prior to Oxford Economics, Sophie gained sales and client management experience at Coleman Research. She holds a Masters Degree MSc in entrepreneurship, Finance, and Innovation from Loughborough University London. She also holds a Bachelors Degree BSc in Economics from the University of Connecticut. Nick is Business Development Executive for UK and Ireland financial services and government clients. Prior to joining Oxford Economics, Nick most recently worked on the commercial side of the UK’s largest online resource for the start-up and SME community. He started his career working in Executive Search for the Logistics & Supply Chain industry globally- completing assignments for the likes of DHL and Kuehne + Nagel. Nick holds a BA in Sociology from the University of York. 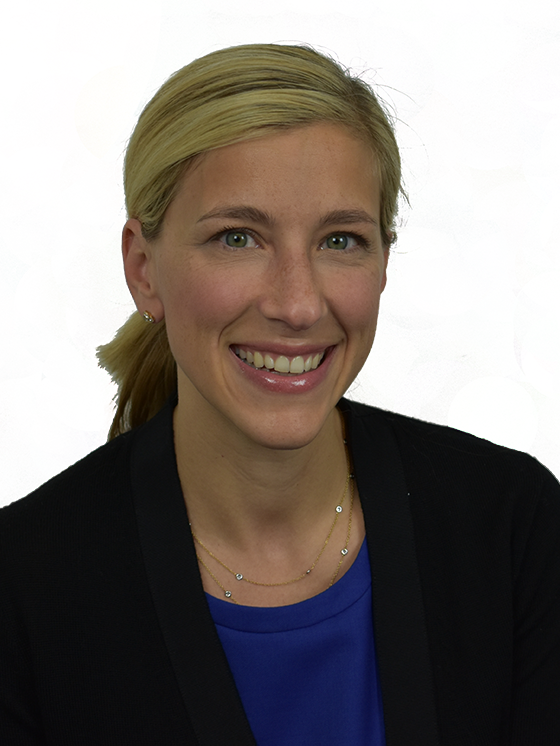 Elizabeth is responsible for servicing Oxford's North American Real Estate clients, as well as managing the development of Oxford Economics within the North American real estate sector. In her previous role in Client Services with CBRE Econometric Advisors, she assisted investment management firms, banks, pensions, and private equity subscribing to Econometric Advisors Commercial Real Estate data and forecasts. There she was responsible for generating new business as well as supporting an existing client base, and connected new and existing clients with the CBRE research, thought leaders, and local market intel that helped them manage risk and improve investment outcomes. Prior to joining CBRE she worked as a Senior Loan Officer with Union Trust Mortgage in Peabody, MA. Charles Burton joined Oxford Economics in April 2008 as the Director of Business Development and is currently the company's Executive Director. He is also a fellow and council member of the Society of Business Economists and non-executive Chairman of the Sofia Property Fund, an AIM-listed real estate fund, as well as a member of the Scottish Government's Economic Consultants Advisory Group. Charles has had a long career in business economics. He was an economist for Beecham Pharmaceuticals, before joining the Confederation of British Industry in 1975. At the CBI, he ran the company's business surveys and economic forecasting teams. As Deputy Director of Economics, he was later responsible for the CBI's economic policy representations. Between 1985 and 1988, he was in charge of the economic forecasting and consultancy business of Wharton Econometrics (now part of IHS Global Insight) in the UK and Europe. In 1988, he was CEO and one of the founding directors of Business Strategies Ltd, a leading independent forecasting and consulting operation. After its acquisition by Experian in 2002, he was the global managing director for the company's Business Strategies division. 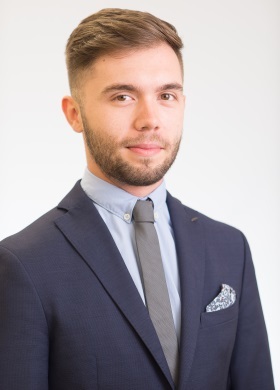 Riccardo has 10 years experience in Commercial and Marketing roles across different sectors (Luxury, Travel, Sport and Finance) and region (Italy, UK and UAE). He holds a degree in Public Relation and Advertising. 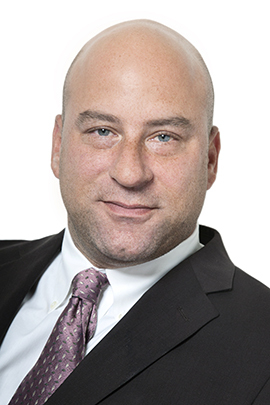 Scott is responsible for servicing Oxford’s North American Real Estate team. He works in a supporting role covering client care and new business opportunities. Scott is based in the New York regional HQ. In his previous role as Account Executive at Reis, Scott was responsible for generating new business relationships with debt & equity real estate professionals. Scott served in all stages of this process originating with prospecting through the final close of new business. Prior to Reis, Scott received his B.A. in Economics at Lafayette College. In his time at Lafayette College, Scott also pursued a Certificate in Financial Policy and Analysis. 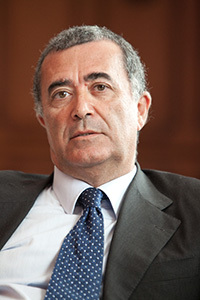 Ignazio joined Oxford Economics in 2019. 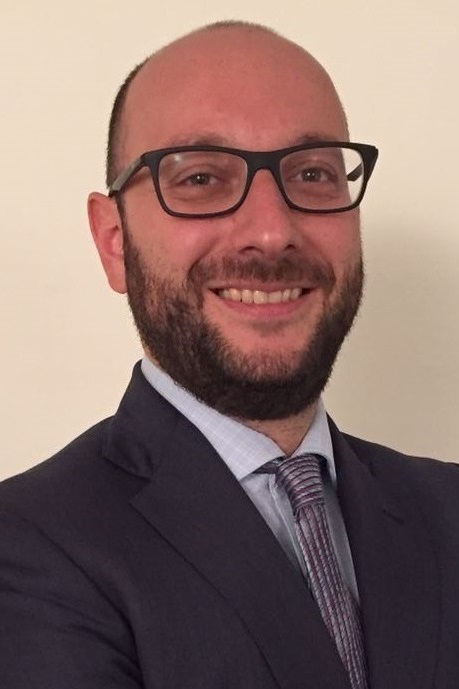 He is part of the business development team in Italy and deals with the search for new customers, as well as the loyalty of existing ones, in order to increase the growth of the company in the Italian market. 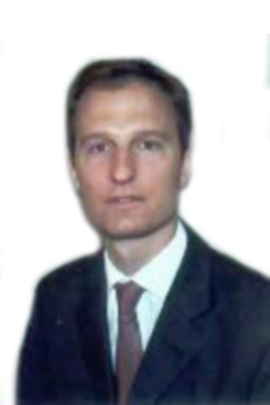 Prior to joining Oxford Economics, Ignazio spent 6 months in Barcelona, working as a Business Development Representative. He holds a Bachelor of Business Administration and a Master of International Management from Cagliari University. 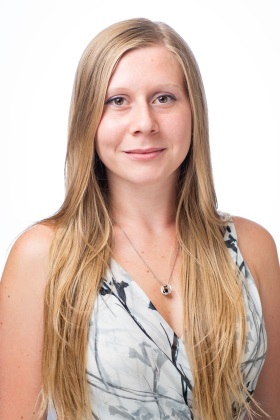 Rhianne manages the Business Development Team looking after clients across Southeast Asia and South Asia. Rhianne started her career at Oxford Economics helping to set-up the ANZ business. Prior to joining Oxford Economics Rhianne worked for Capital Economics where she set-up their India desk out of Singapore before going on to lead their sales efforts across Australia and New Zealand, dealing primarily with the financial sector and a number of global corporate businesses. Rhianne studied at St Andrews University where she received her joint honours degree in History of Art and Management before completing a Masters in Marketing. Matthieu Cottard is the Associate Director focusing on France, Spain, Portugal and Belgium. Matthieu is graduated from the Paris business school (INSEEC), before gaining some business development experience first by selling consulting in Geneva for Altran, then setting up a company in management solutions/softwares in Argentina namely for a couple of years.He has also worked with several startups as a Business Developer before joining Oxford Economics. Matthew is responsible for industrial sector focused business development in the UK, Denmark and Norway. He graduated from the University of Kent with a degree in Politics and International Relations in 2011. Following this he joined the Marks and Spencer graduate scheme and has worked in a number of roles across the hospitality sector. He enjoys rugby, football, trekking and travelling and recently completed a trek to Everest Base Camp. Pierre Delage joined Oxford Economics in 2004 as an economist. He has been responsible for forecasting European and Asian economies within the European and Emerging Market teams. He was also involved in a broader forecast round of smaller economies. Now based in Paris, Pierre is in charge of developing Oxford Economics activities in France, Belgium and Iberia. Pierre is a graduate of the Ecole Superieure de Commerce de Paris, a leading French Grande Ecole, where he followed a major in Finance. After that, he had a short experience at Arthur Andersen and a one-year job as a Financial Analyst in the internet division of the French conglomerate Vivendi Universal in Paris. He then chose to turn to macroeconomics by pursuing a MSc in Macroeconomics from Paris-Dauphine University, where he focused on the concepts of macroeconomic equilibrium and fundamental exchange rate. Pierre also holds a BA in Philosophy from the Paris-Sorbonne University. Pierre also teaches economics at Cepe-ENSAE in Paris. Manages the strategic growth and development of Oxford Economics’ subscription research business in the UK, Nordics, Middle East and Greater China. Courtney joined Oxford Economics in 2014 as a Business Development Manager, working with clients in the UK, Nordics and the Middle East. In November 2015, she became Director of Business Development overseeing the BD operations in the UK, Nordics, Middle East & Africa. Prior to Oxford Economics, Courtney worked in a multitude of international contexts. Most recently with Istanbul Gold Refinery, negotiating and managing the refinery's contracts with mining companies throughout Africa, Europe and Asia. Prior to IGR, she worked in media sales and advertising with renowned global media brands. Additionally, she spent time at the European Institute of Public Administration, as well as, NGO's in Russia and Nicaragua. Courtney has a strong background in project management and business information systems from her time at Sun Microsystems/Oracle and Monster Technology. She holds an MSc in International Economic Development from Utrecht University in Holland and a BA in International Relations and European Studies from Ohio University in USA. 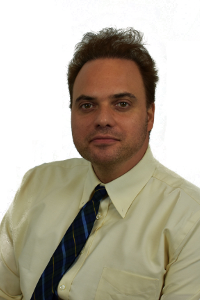 At Oxford, Max is responsible for business development of our corporate clients inside of the NY tri-state area. Max is based in the New York regional HQ. In his previous role as a Sr Account Executive at The EIU, Max was responsible for growing revenue by maximizing the potential of a large book of clients spanning the entire US. 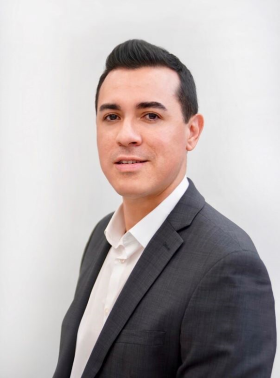 Max began his career in the Financial Services industry with his series 7 and 63 designations, wholesaling mutual fund products to wealth management divisions of major banking institutions in the US. Sook Fong joined Oxford Economics in October 2015 as Sales & Marketing Coordinator in Singapore. 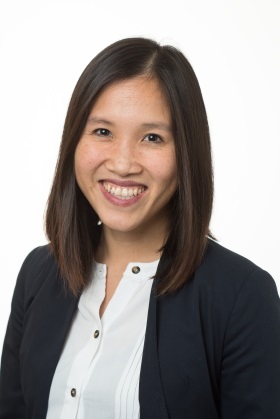 Sook Fong is responsible for assisting the Asia team with marketing and sales support, including regional marketing campaigns, press releases, seminar & webinar arrangements and other sales support. She holds a Bachelor of Arts (Hons) in Economics from Nanyang Technological University and is fluent in English, Chinese and Malay. Matt is a Business Development Manager, with a focus on the Midwest United States. He brings ten years of consultative, client-focused sales experience to the Oxford Economics team. Prior to joining the firm, Matt was most recently at Monster Worldwide, where he supported his clients throughout the entire sales cycle.During his career, he’s worked with a wide range of clients in the legal, architecture, infrastructure planning, marketing and talent acquisition industries. Matt holds a B.S. in Finance from Roosevelt University, in Chicago. 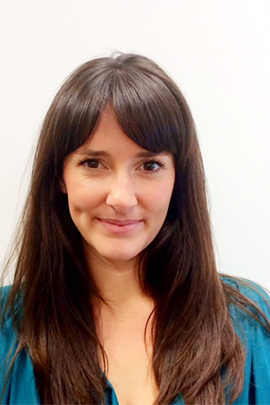 Caroline joined Oxford Economics in 2010 in the Administration Team. Since 2012 her focus has been on client support within the Business Development Team with her most recent role being Senior Account Manager focusing on client relationship management and product campaign management within EMEA. In 2017 Caroline transferred to the Sydney office joining the newly formed BIS Oxford Economics as Business Development Manager. Ron Glickman is responsible for developing new logo sales at Oxford Economics within the subscription suite of products. Ron has over 15 years of sales experience at both large companies, as well as smaller start up environments. Prior to joining Oxford Economics Ron spent 5 years at IHS in the Global Insight divisions, as well as the Chemical division where he was responsible for new logo sales and business development. Henk heads business development initiatives in Southern & West Africa for NKC African Economics. He joined NKC in 2018. Henk holds an MCom in Economic Development and Policy Issues from the University of Johannesburg. He has over 12 years sales experience generating new business growing existing client accounts in countries across Africa, specializing in the public sector. He was previously employed as a Senior Business Development Manager at BMI Research and Senior Account Executive at IHS. Henk was also employed as a Specialist Researcher at Accenture and Researcher at Global Insight. Stefan is responsible for support and coordination between the business development, marketing and economist teams in Northern Europe. 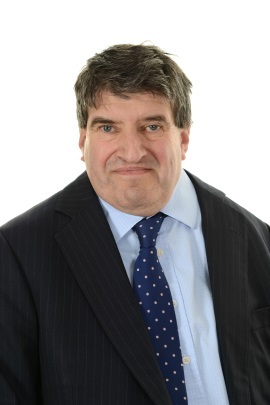 Prior to working for Oxford Economics, Stefan had roles working in business mediation, mergers and acquisitions and economic translation for companies including JP Morgan and Lloyds Banking Group. He graduated from Leeds Beckett University with a degree in International Relations and Conflict and has previously lived and worked in Madrid, as well as studying in a program with Columbia University in New York. Florent has always evolved in a highly international sphere and speaks fluently French, Spanish, Portuguese and English. 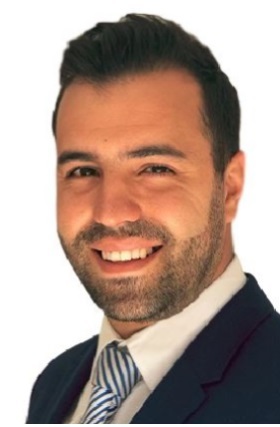 Florent graduated from a Master degree at Bordeaux Managerial School (IAE Bordeaux) while he holds a Bachelor degree in Business from South Korea (Hallym University). He first gains some experience developing a start-up among the water industry in Mexico and then by planning the strategic development and selling services for the TV industry in Brazil before joining Oxford Economics. Madeleine spent two years with Metlife as an Internal Business Consultant and Sales Administrator. Previously to MetLife, Madeleine worked for a Mortgage Brokage in Melbourne and also HSBC Bank PLC. Madeleine holds a Bsc (hons) in Mathematics with Accounting from the University of Exeter. Corinna heads-up Oxford Economics’ commercial and strategic efforts across Continental & Eastern Europe as well as French-speaking Africa. She is in charge of our offices in Frankfurt, Paris and Milan and the Business Development activities across the region. Corinna joined Oxford Economics in London in 2012 and moved to Frankfurt in 2015 to focus on building the continental European business. She became a member of the Senior Management Team in 2018. Prior to joining Oxford Economics Corinna gained international experience working in Cairo and Jakarta, where she supported the government and leading businesses in promoting investment opportunities abroad. She acted as a Junior Advisor to the Russia and CIS Committee of the Indonesian Chamber of Commerce and worked for a leading Indonesian consultancy focusing on market-entry strategies and PPPs. This allowed her to gain experience in consultancy and research as well as in business development. Corinna holds a BSc in Geography with Economics from the London School of Economics, a joint MA degree in European Politics and International Relations from the Universities of Bath, SciencesPo Paris and the Humboldt-Universität zu Berlin as well as a Postgraduate Diploma in Global Business from Saïd Business School in Oxford. She is fluent in English, German and French. 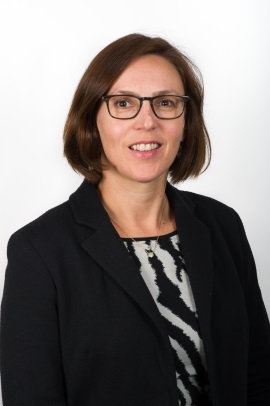 Catherine has joined Oxford Economics from Lombard Street Research where she has been focussing on business development for the last 11 years. She brings a wealth of experience selling in to both the American and European asset management space. She spent the first three years at LSR in New York and helped to set up the sales office there; she then returned to London in 2007 where she was promoted to Sales Manager. 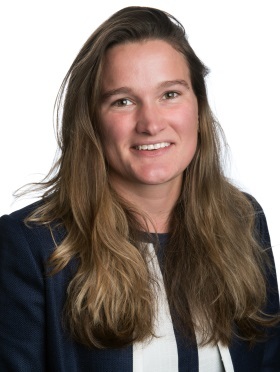 Catherine is a welcome addition to the Oxford Economics Capital Markets team and we are pleased to have her knowledge to help promote out research in the Financial Services arena. 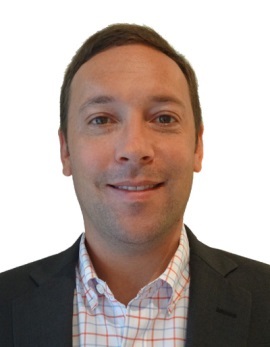 Jeffrey Klonoski oversees consultancy sales for North America. His work extends to thought leadership, economic impact and macroeconomic modelling. Jeffrey has over 10 years’ experience in research and analytics. Prior to joining Oxford Economics, he had an eight-year run with an opinion research firm, managing strategic partnerships and doubling as a research director. His project experience runs the gamut, from economic impact evaluation research in Afghanistan for GiZ, market entry strategy for a Korean conglomerate, communications strategy for the World Wildlife Fund, public opinion trends for the International Peace Institute in Palestine, Israel and Lebanon, voter education measurement & evaluation in Iraq for IRI, UI/UX research for Skype and new product development for Samsung. Other notable clients include Baxter, Diageo, LG, USAID, the World Bank and Nielsen. Jeffrey holds a BBA in Marketing Research from James Madison University. 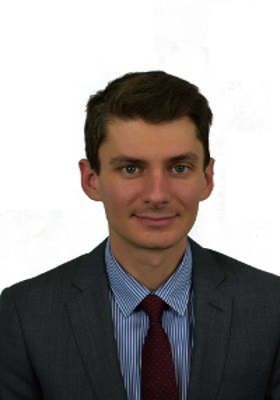 Fabian joined the Business Development team at Oxford Economics in the Frankfurt office in September 2016. His responsibilities lie in the field of business development for the DACH region and the Netherlands. Before joining Oxford Economics Fabian gained experience working as a Key Account Manager in an IT agency in Leipzig. Prior to this, he worked in the fields of renewable energy, consultancy and machine construction, mainly in business development roles. He gained international experience during longer stays in France and Ireland. 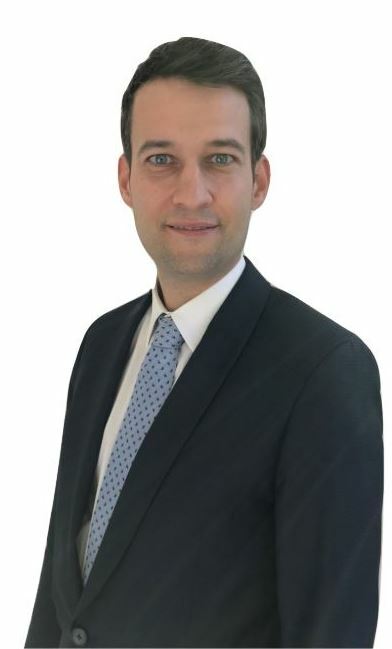 Fabian holds a Bachelor’s Degree in Economics and Political Science from the University of Erfurt and a Masters Degree in Business Administration from the University in Leipzig. He is fluent in German, English and French. Prior to joining Oxford Economics Jeff was a Director of New Business Development at Reis. He was responsible for generating new business relationships with debt & equity real estate professionals. Jeff served in all stages of this process originating with prospecting through the final close of new business. During his time with Reis, he worked with many of the world’s leading lending institutions, equity investors, brokers and appraisers. Jeff is a graduate of The University of Alabama’s College of Communication and Information Sciences, and is a proud UA Athletics Alum. 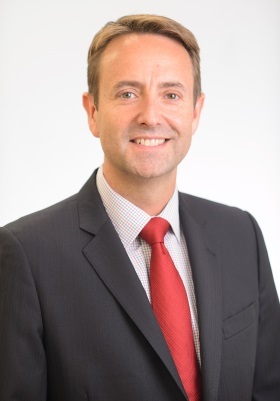 Phil Lightfoot joined Oxford Economics as Head of Financial Market Sales. He has 15 years of sales management experience with Independent Research Providers. 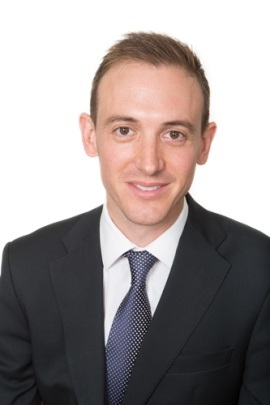 Phil joined Oxford Economics from Eurasia Group in London.Prior to that he worked for Lombard Street Research for over a decade, the last nine years of which in New York as Director and Head of their US office. In 2012 he moved back to London with Medley Global Advisors, where he was their Business Development Director for Europe. He holds a degree in Economics from the University of Manchester. Leonardo looks after the East Coast clients from a client service and sales perspective. Prior to joining Oxford Economics, Leonardo was in charge of business development and account management of the Telecoms practice for IHS Global Insight for 7 years helping clients anticipate risks and make better business decisions throughout Europe, Africa and the Middle East. He is fluent in Spanish and English with an intermediate level of Italian and German. Rakan is Vice President of Business Development at Oxford Economics. As Vice President of Business Development, Rakan Mosely leads Oxford Economics’ expansion into the Western United States. He has established a new office for us in Santa Monica, California, where he will be promoting our elite offering of economic subscription and consultancy services to major institutional entities, investors, and corporate strategic planners. Erica Okone is the Sales Administration Manager, based in our New York office. Erica joined the team in September 2010. For the past ten years, Erica had been working in sales administration. She is responsible for US client service management, conference planning, contract tracking, and invoicing. Erica spent 10 years earlier in her career in the not-for-profit sector, and has a BA from DePauw University. Miriam is responsible for developing and servicing Oxford Economics' client base throughout the Middle East. 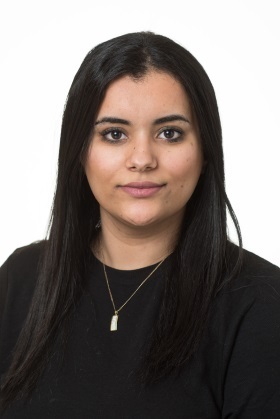 Prior to joining Oxford Economics, Miriam was most recently with Business Monitor International office in Dubai, where she held Business Development and Account Management roles concentrating on developing opportunities within Large Corporates, Government and Financial Institutions across MEA region. 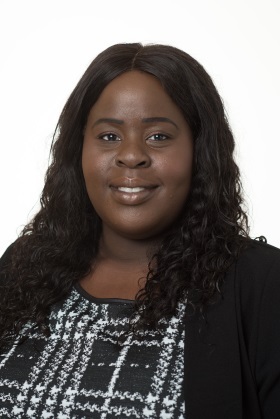 Miriam graduated from University of Kent with a degree in Economics and Politics and also holds an MBA in Finance and Investment management from University of Wales. Cigdem is responsible for developing Oxford Economics’ asset management business across the UK, Netherlands, Switzerland and Turkey. Cigdem has been covering financial services industry over a decade. Prior to joining Oxford Economics, she worked at Roubini Global Economics where she looked after financial services focused business across EMEA. Cigdem has a Global Executive MSc in Management from the London School of Economics and a BSc Hons in Industrial Economics from the University of Warwick. 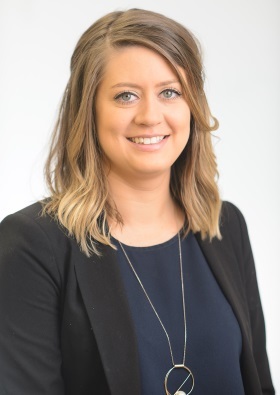 Kellie is responsible for new business development and client service for the Australian infrastructure, construction, mining and maintenance sectors. With 20 years B2B experience in business development, marketing, client service, operations and event management, Kellie supports our clients with solutions for industry research, market forecasting, lead generation and networking opportunities in the Australian civil engineering and infrastructure, mining and maintenance sectors. 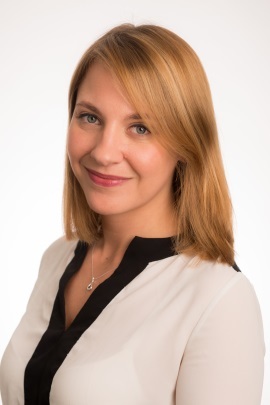 Kellie previously led BIS Oxford Economics' Subscriptions and Conference team, managing the sales and marketing for our economic and building studies, and managing all facets of our nationwide series of Business Forecasting Conferences. In this role she also managed the general marketing, promotion, and advertising requirements of the overall business, along with website enhancements. Other projects have also involved the design, development, data migration, testing and deployment of our corporate wide CRM system integrated with our website and financial systems. Kellie holds a Bachelor of Business (Finance and Marketing) from University of Technology, NSW. Jens is a member of the Business Development team for DACH, Eastern Europe and CIS. 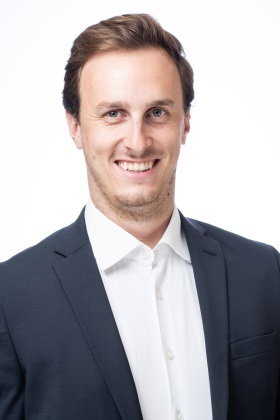 Jens joined Oxford Economics in 2015 and works in our Frankfurt office as Business Development Manager for DACH, Eastern Europe and CIS Regions. 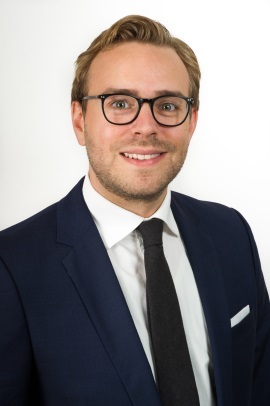 Prior to working at Oxford Economics, Jens gained his professional experience during several international assignments in the field of Management Consulting, Economic Policy consultancy and the automotive industry. Beside Germany, he worked and lived in Mozambique, Brazil and China. Jens has an academic Background in Management & Economics, earned at the Zeppelin University, Germany and University of São Paulo, Brazil. Aoife Pearson manages sales development for the economic consulting division, with a focus on EMEA. 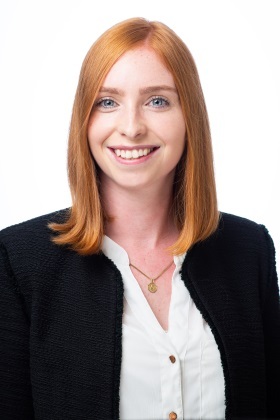 Prior to joining Oxford Economics Aoife worked for DCC plc, an international sales, marketing and support services group listed in the FTSE 100. She has experience in a range of sectors including energy, healthcare and technology. She holds a first class Geography degree from the University of Newcastle. Trang joined the Business Development team at Oxford Economics in the Frankfurt office in November 2018. Her responsibilities lie in the field of business development for the DACH 2 region, Luxembourg and the Netherlands. Prior to joining Oxford Economics, Trang gained experience as a business development manager for a start-up in Frankfurt. Trang also brings experience in consultancy, country risk analysis and field research in behavioural economics. Trang holds a B.Sc. in International Economics with regional studies from Tübingen University and Cape Town University. For her masters she specialized in Development Economics at Marburg University. She gained international experience during longer stays in the US, South Africa, India and the Philippines. 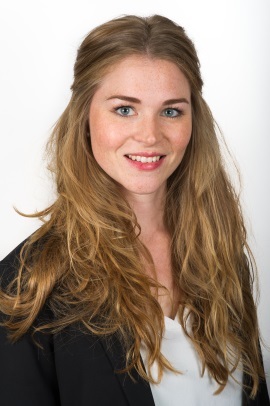 Rebecca will be supporting in terms of CRM, Marketing and Sales for the DACH team and the Netherlands. Rebecca holds a B.A. in International Business and Management Studies from the University of Applied Sciences in Kufstein, Austria. During the last years, she has been working and studying not only in Germany and Austria but also in France, Canada and the Netherlands. The last year she took part in a trainee program in Online-Marketing. Alyssa joined Oxford Economics as a VP of Business Development – Asset Management. She has 13 years of sales and account management experience within the financial capital markets sector. Prior to joining Oxford Economics, Alyssa was a Sales Manager at IHS Markit providing economic and country risk solutions to financial capital market clients. Alyssa also worked at commercial real estate research firm REIS, Inc. and started her career in Account Management and Sales at Coleman Research Group. Alyssa holds her Bachelor of Arts in English from the University of Michigan. 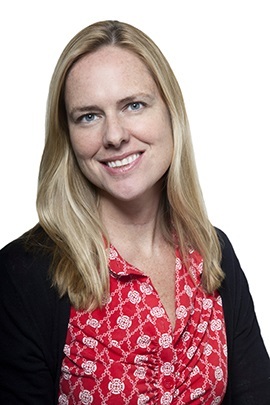 Diantha Redd oversees Thought Leadership sales for the Americas. 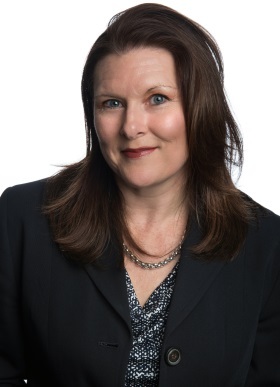 She works closely with her global counterparts on several key account relationships, such as SAP, GE, Cisco, Accenture, Boeing, Verizon, and State Street among others. Prior to joining Oxford Economics, Diantha was Sales Manager in the Content Solutions/Thought Leadership group at The Economist for over four years. She led the Foundation/Non-Profit, Corporate and Professional Service firm categories for the business development side for research, and built and managed a wide range of thought leadership and event projects across several categories. Key projects included the DuPont Global Food Security Index, Booz Allen’s Cyber Security Index and Thought Leadership program, work with Pfizer, Citigroup, SHRM, and The Rockefeller Foundation. Before she joined the custom-content world, she spent over ten years in media sales and management at Forbes, Smithsonian Media, and BusinessWeek. Diantha holds a Bachelor of Arts degree with majors in Political Science and French, from Denison University. 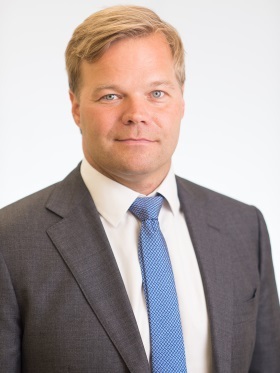 Stefan joined Oxford Economics to lead the firm’s business development within the Asset Management industry. Prior to joining Oxford Economics, Stefan was Senior Director at Roubini Global Economics for over 7 years where he worked with some of the world’s largest asset managers and hedge funds. Stefan started his career as a senior consultant at West Corporation. Stefan is a graduate of Boston College's Carroll School of Management, and is a member of the BC Alumni Athletes Network. Emilio Rossi is Senior Advisor to Oxford Economics. He works with Italian clients in a variety of sectors, to supply them with market intelligence and strategic planning advice. He has 30 years experience in economic analysis and forecasting, industrial economics, market sizing, risk evaluation, policy impact, energy markets and modelling. Mr. Rossi has co-authored several books and written papers on economic and forecasting topics, writes on economic press and is regularly invited by tv and radio programmes. He managed various EC projects and consulted major European, US and Italian corporations, ministries and financial institutions (among which Siemens, Italian Treasury, UPS, Fiat, Eni, UBS, Doosan/Bobcat, Dow Chemicals, Honda, BMW). 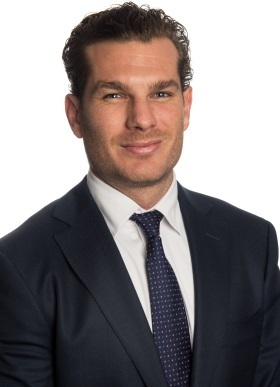 Previously Mr. Rossi was Managing Director at Global Insight for 8 years and at Standard & Poor's for 15 years, as Managing Director for Italy, Southern Europe, and European business (in London). He also worked six years in the Economic Studies Department of ENI, where he contributed as economist and econometrician to the Interdependence Project, a joint effort of ENI and OAPEC. Elton is NKC African Economics’ Head of Business Development for Southern and East Africa. He's responsible for cultivating new client relationships within the economic and country intelligence fields. He joined NKC in 2017. Elton has a BCom (Hons) degree in Econometrics from the University of Pretoria. Before joining NKC he worked as a business development manager at IHS Global Insight, where he managed new business initiatives throughout the South Africa and the Sub-Saharan Africa region. He has also worked for the Economist Group. Jason is a Business Development Executive at Oxford Economics. Prior to joining Oxford Economics, Jason held business development roles within the software and market research sectors. Jason is a Los Angeles native and holds a BS in Business Administration. Ihssane is responsible for assisting the team in building the subscription business within the assigned territory. Experienced Business Development Coordinator with a demonstrated history of working As a key account executive Skilled in Software apps, Management, Customer Service, and Project Management, with a Bachelor's degree focused in Economics,management and Law from Paris Sorbonne University . Adam Sacks is the founder and President of Oxford Economics’ Tourism Economics division. Adam came to Oxford Economics from Global Insight, where he began its travel & tourism consulting practice. Adam has worked with over 50 tourism offices throughout the world. Adam has advised destinations on tourism investment policy, entry procedures, tourism taxation, and marketing strategies. He has provided destinations with analysis on market positioning and emerging opportunities. Adam is an authority on measuring the economic impact of tourism activity and has implemented the UN-methodology for measuring the tourism sector (Tourism Satellite Accounts) for over 20 destinations. Adam has consulted with multinational hotel chains, airlines, aircraft manufacturers, theme parks, resort developers, and retail operators to measure current and future market opportunities. He has presented to numerous corporate strategic planning teams on the threats and opportunities facing their businesses within the projected travel and economic climate. 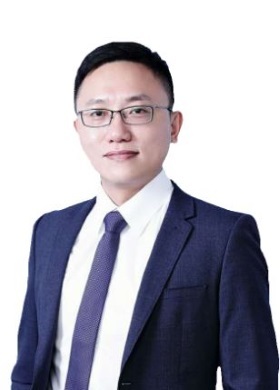 He is experienced in developing custom systems for quantifying tourism-market segment opportunities and has developed tourism forecasting models with exceptional track records. Adam is a regular conference speaker on issues related to tourism market analysis, the economic impact of tourism and travel-demand forecasting. Eva is responsible for growing Oxford Economics sub-brands - Tourism Economics, BIS Australia (Property & Construction) and NKC African Economics globally. 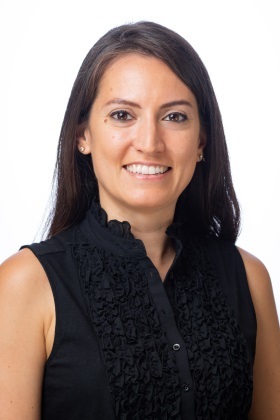 Prior to joining Oxford Economics, Eva spent eight years at Euromonitor International as a Head of Business Development, where she led business growth in Europe and developed global research partnerships. She also worked at Oracle UK in London as a project manager on the European client team. She holds a Master of Science in International Management from King’s College London. 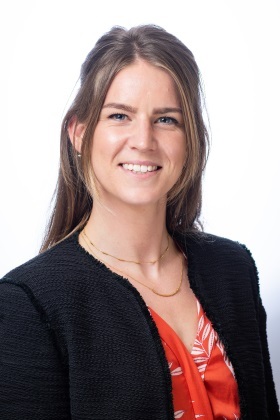 Teresa joined the Business Development Team at Oxford Economics in the Frankfurt office in 2017 taking on a role as a Business Development Executive for the DACH region. Prior to joining Oxford Economics Teresa gained experience within the fields of Sales and Business Development. Teresa holds a CEMS Master's Degree M.Sc. in International Management from the University of Dublin. She also holds a Bachelor's degree B.Sc. International Business from Arnhem Business School in the Netherlands, and is fluent in German, English and Spanish. Lead the development of the Greater China sales strategy, develop and execute the region’s sales plans, identify growth opportunities to achieve targets, drive the development and implementation of accounts plans to ensure growth and improved users experience. Regional sales and accounts management focusing on Greater China. Amanda has 20+ years’ experience in Sales and Account Management Development. Professional with significant experience in identifying and capturing market opportunities to accelerate expansion. 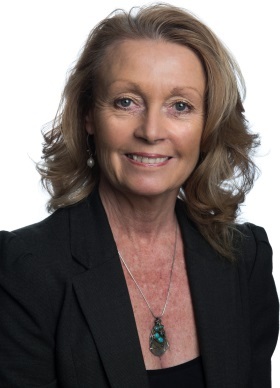 She has in-depth understanding of Payroll, remuneration and HR solutions, Optical Variable Device (OVD) technology, advertising, household products, FMCG, hardware, packaging, art materials, surveys, consulting, building and construction research and forecasting throughout ANZ across all industries. She has worked in England, Dubai and Australia within account management, new business development and marketing across a variety of industries. This has given her an understanding of how these industries operate and their key drivers. Susanne is the Senior Administration Manager of Oxford Economics GmbH. She is based in the German office in Frankfurt. 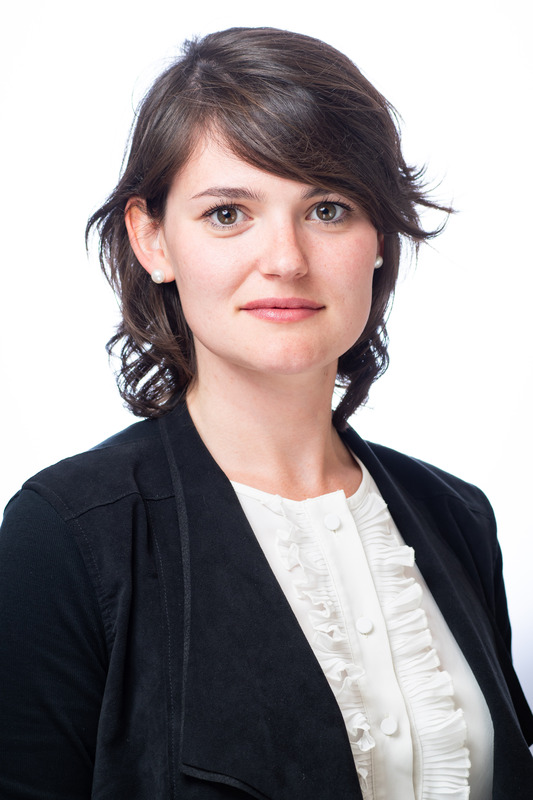 Susanne joined Oxford Economics in 2015 in the Business Development Team in Frankfurt. Since August 2016 she has been focusing on administration and finance task to support the Oxford Economics GmbH and its operation in the DACH region. Prior to joining Oxford Economics, Susanne gained experience living and working in India, Australia, France, USA and Switzerland. Susanne holds a Bachelor's Degree in Global Communications and International Economics from The American University of Paris and is fluent in German, English and French. 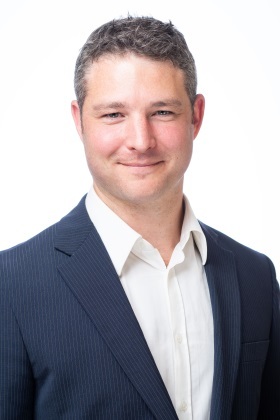 Oliver joined Oxford Economics as manager of Business development for Australia and New Zealand Ollie is responsible for driving the growth of the business across ANZ. Ollie focusses his time on growing the subscription part of the Oxford Economics business as well as working to create stronger brand awareness within the market. Prior to starting at Oxford Economics Ollie was a Business Development Manager and team leader at management consulting firm CEB. Ollie has vast sales experience working across HR, Finance, Logistics and Engineering whilst living in Auckland, London and Sydney. He has also studied at the University of Otago where he completed Bachelor’s degrees in Sports and Exercise Science, and Commerce. 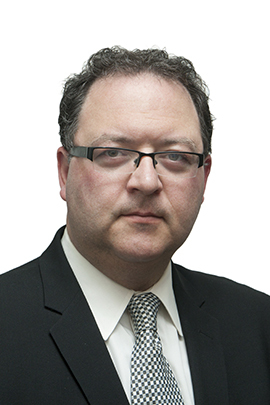 Nick Stavropoulos brings two decades of financial services insights and corporate strategy consulting experience from such organizations as The Economist, Wolters Kluwer Financial Services, and The Northern Trust. He has significant experience in crafting bespoke research projects for international corporations, government agencies, and multilateral organizations seeking to align their initiatives and better understand their strategic and operational challenges. Nick holds his Bachelor of Arts in Communication with a concentration in Political Science from The University of Illinois and is based in Chicago. Peter Suomi is based in New York and is the head of the subscription business in the Americas, including the United States, Canada and Latin America. Peter has an extensive background in economic and research publishing, throughout the world. Previously, he worked at the Economist Intelligence Unit for seven years, from offices in New York, Australia, Singapore, and India. In his most recent role, he was responsible for all business development and strategic partnerships in South and Southeast Asia, and served as the regional head for the EIU’s client research practice in Asia. He was also instrumental in the opening of the EIU’s offices in Sydney and Delhi. Peter received his MBA from the Haas School of Business at the University of California, Berkeley, with a focus on global management, and his BA in economics and political science from the University of Michigan. Prior to joining Oxford Economics, Christie worked with Thomson Reuters as Inside Sales in Legal Solutions department. Before TR, she worked as a Marketing Officer in The Hong Kong Jockey Club in Racing Event Marketing division, focusing on the promotion of the international racing events in Hong Kong. Christie holds a MSc in Marketing with Merit from University of Exeter. Veronica Tomciac joined Oxford Economics in September 2016. She is responsible for client relationship management within UK, Nordics and Middle East. Prior to working for Oxford Economics Veronica gained experience working for a Real Estate Consultancy as a Research and Marketing Analyst. She graduated from University of Manchester with a degree in International Business, Finance and Economics and is fluent in Russian, English and Romanian. 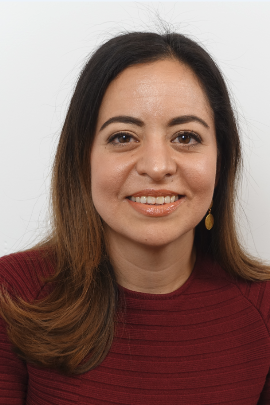 Patricia joined Oxford Economics in January of 2017 as the Business Development Director for Mexico. Patricia has wide experience with research firms holding various positions in client management and business development within Latin America and the United States. She previously worked for ISI Emerging Markets-Institutional Investor in New York managing clients in North America. She also worked for Thomson Reuters as a Senior Market Analyst in their Fixed Income Content Team. Then transitioned to IHS as a Senior Account Manager for Latin America and most recently as a Core Customer Consultant for Latin North at Elsevier. She holds a Bachelor’s degree in Marketing from the Instituto Tecnológico y de Estudios Superiores de Monterrey in Mexico City and has an MBA from Babson College in Massachusetts. Patricia is fluent in Spanish, English and Portuguese. 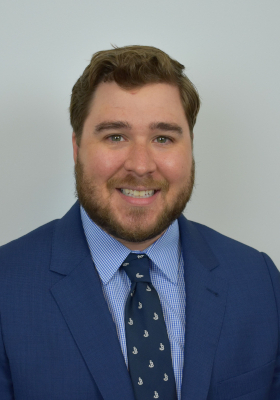 Timothy Warren joined Oxford Economics from IHS Automotive where he held Senior Sales responsibilities for OEM accounts offering a variety of services including sales forecasting, market insights, customer and spatial analytics. Prior to IHS Automotive, Tim worked with MapInfo where he held sales and account responsibilities from such industries as retail, finance, package goods, not-for-profit and telecommunication. In addition, Tim was instrumental in developing key relationships for both data acquisition and predictive analytic partners. Tim holds an Applied Geography Degree from Ryerson University in Toronto, Canada and brings over 24 years of sales and account management experience to the organization. Jeffrey is a Business Development Manager in the Hong Kong office, working with clients in Greater China.